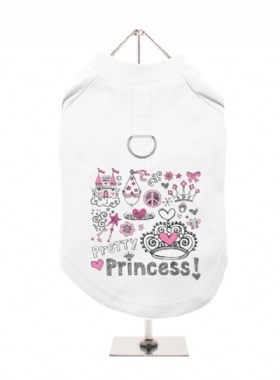 A fun, funky tank t-shirt that also provides a secure harness for your dog. This t-shirt has a built-in D-ring harness and 2 under-belly / under-chest quick release buckles for comfortable control of your dog. 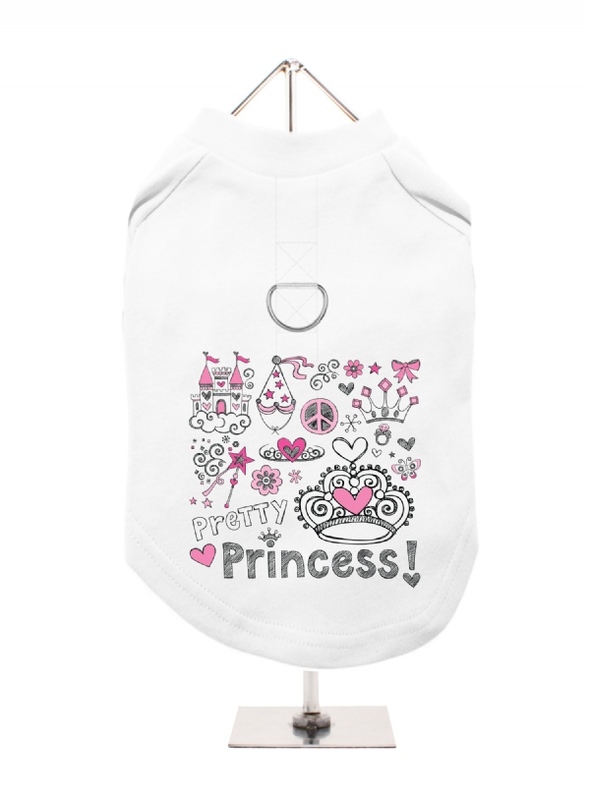 Made from high quality 100% cotton and features a cotton-flex ''Pretty Princess'' design.